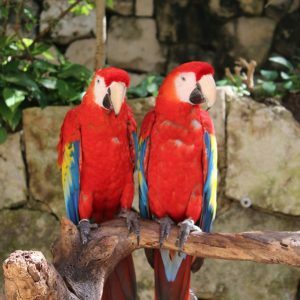 Xcaret is an archeological and natural park located in the coast of Riviera Maya, a few minutes of Playa del Carmen city. 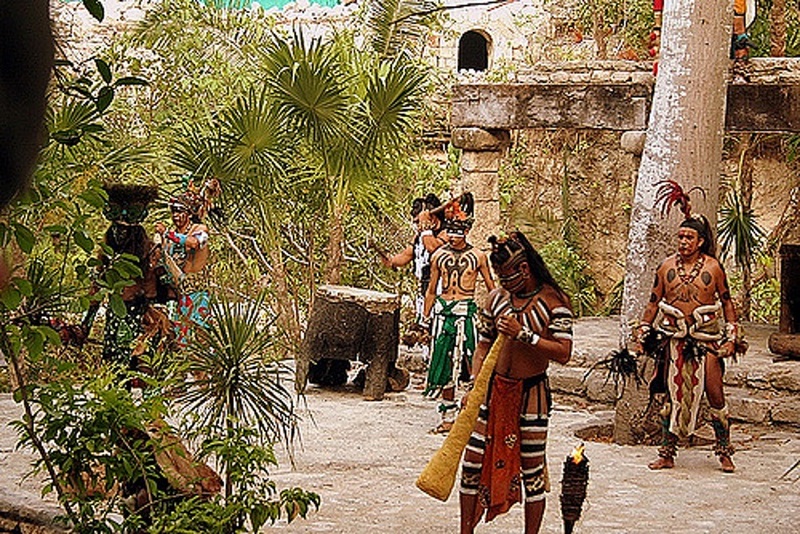 Xcaret is recognized as a natural sanctuary, which mixes Mexican and Mayan history in all its attractions, activities and shows. Surrounding by a Caribbean beach, rivers and a green tropical forest, is the perfect place for adventure and cultural discover. 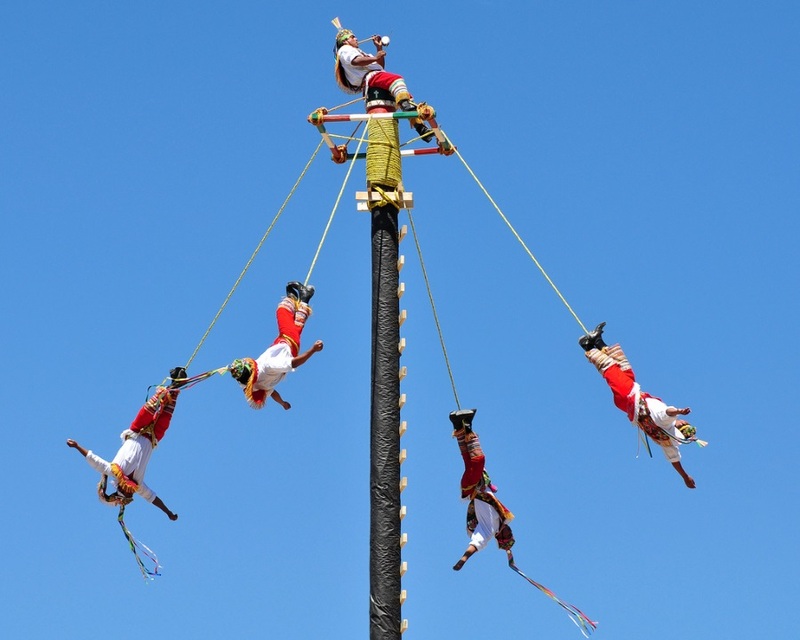 Let you marvel by its beautiful landscape, flora and fauna, and for the recreation of Mexican traditions and history, such as the pre-Hispanic ball game, the charro celebration, the Mexican cemetery and the folklore and dancing. 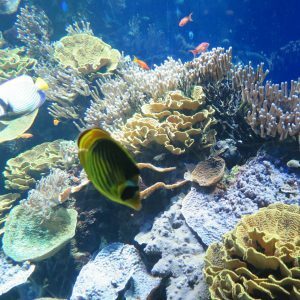 For those who are nature lovers, enjoy a coral reef aquarium, a butterfly pavilion; moreover explore underground rivers, beaches and natural pools. A place where you can swim with dolphins and have fun with countless attractions and activities that will make you live magical experiences. 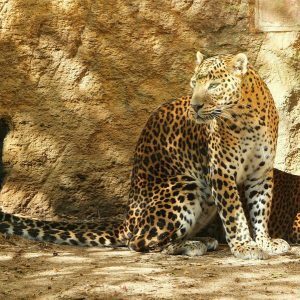 Visit the bird natural sanctuary where birds interact freely; admire giant turtles and beautiful manatees and meet the jaguar and flamencos two representative species of the Mayan region. In Xcaret Mexican Culture is everywhere, admires the Mexican charros and adelitas exhibiting surprising moves in fine horses, combining the elements of Mexican horsemanship with typical music and colors of Mexico, lose breath with the Flyers of Papantla where dancers launch themselves from a platform to which they are tied by long ropes, imitating the flight of birds and drop down to the ground in order to express respect for nature and the spiritual universe, do not forget of discover the archaeological sites at different spots in the Park. 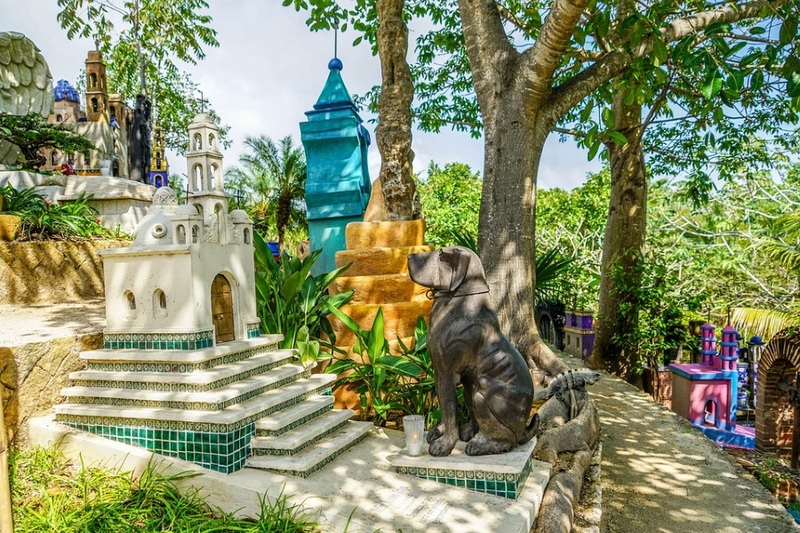 One of the most interesting attractions at Xcaret is Hacienda Henequenera, where the history of Mexico is unfolded between its halls of exquisite architecture. The Folk Art Museum presents the creations of renowned Mexican artisans; here you can admire the detailed craftsmanship of different regions in Mexico. 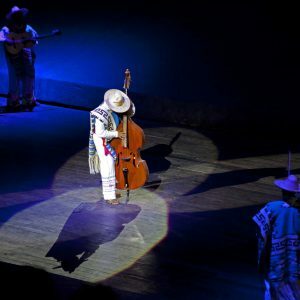 At night, surprise with a show of more than 300 actors on stage, resulting in a musical journey through the history of Mexico since pre-Hispanic times to the present day, with all the colorful costumes, folklore and dancing. 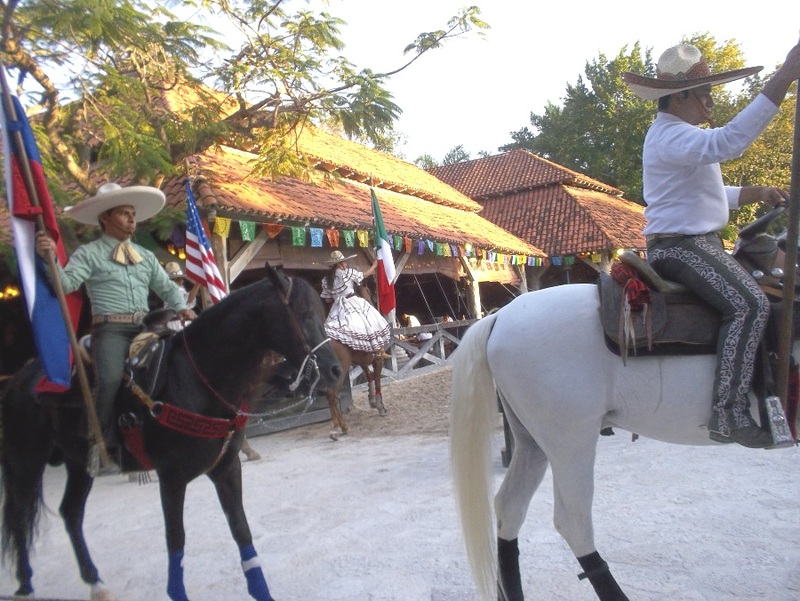 Enjoy an unforgettable evening admiring the Mexican charros and adelitas exhibiting surprising moves in fine horses. 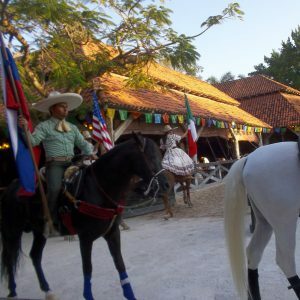 This show combines the elements of Mexican horsemanship with typical music and colors of Mexico, a true display of talent located within a typical Hacienda Henequenera. Time Performance: Summer: 19:00 hrs. / Winter: 20:00 hrs. Considered Intangible Cultural Heritage of Humanity by UNESCO. This custom of Mesoamerican origin expresses respect for nature and the spiritual universe. 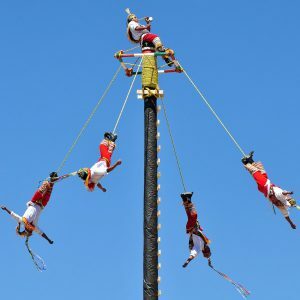 During the ceremony, four "Voladores de Papantla" climb a pole while one more flyer remains sitting on the edge of the platform, while playing with a flute and drum melodies in honor of the sun, the four winds and the cardinal points. After this act of invocation, the dancers launch themselves from the platform to which they are tied by long ropes, imitating the flight of birds and drop down to the ground. Time Performance: 11:00 hrs. and 13:00 hrs. 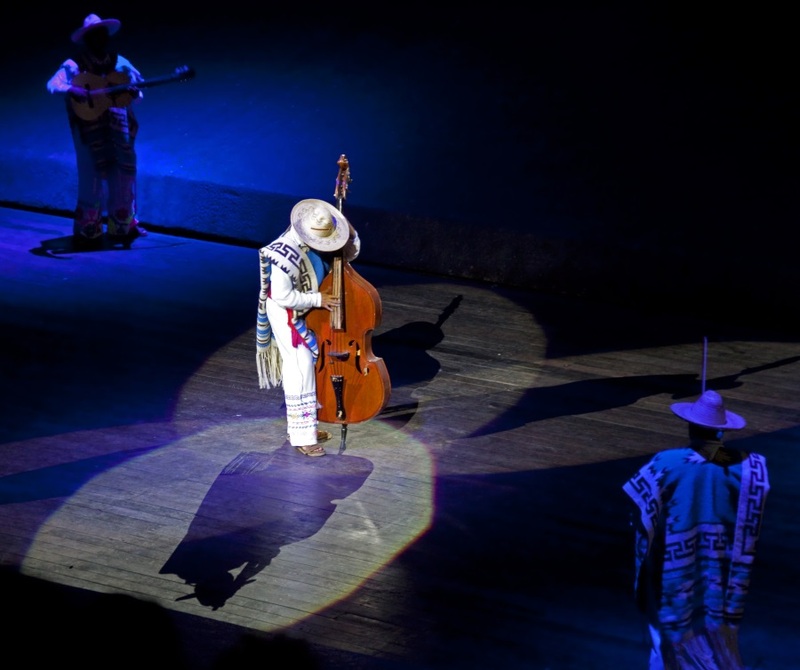 With a big stage, advanced technology, incredible costumes and an impeccable set design, a journey through Mexico's History going all the way from the pre-Hispanic times and reaching up to the modern days. 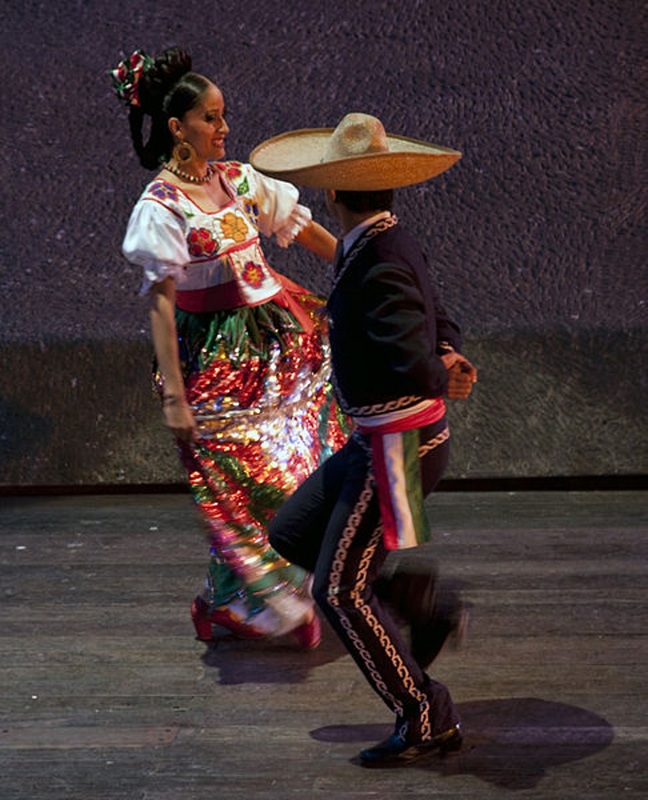 More than 300 actors with original costumes are displayed in a spectacular setting in an atmosphere of light and color showing typical dances, performances of Mexico's history, legends and all the festivities of the different cultural regions of the country. Time Performance: Summer: 18:00 hrs. / Winter: 19:00 hrs. 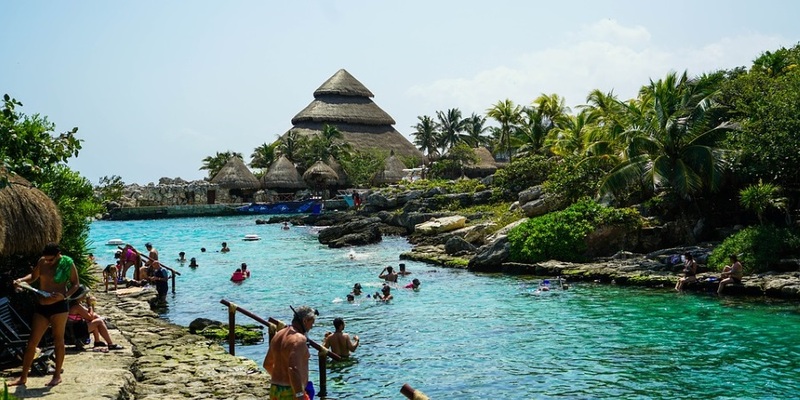 Xcaret, which in Mayan means "small inlet", originally called Polé, was the home of a Mayan community dedicated to maritime trade, an important port for other coastal entities. It was also a ceremonial center because its inlet was the starting point for the ancient ritual pilgrimage by canoers to Cozumel, to worship the goddess Ixchel. 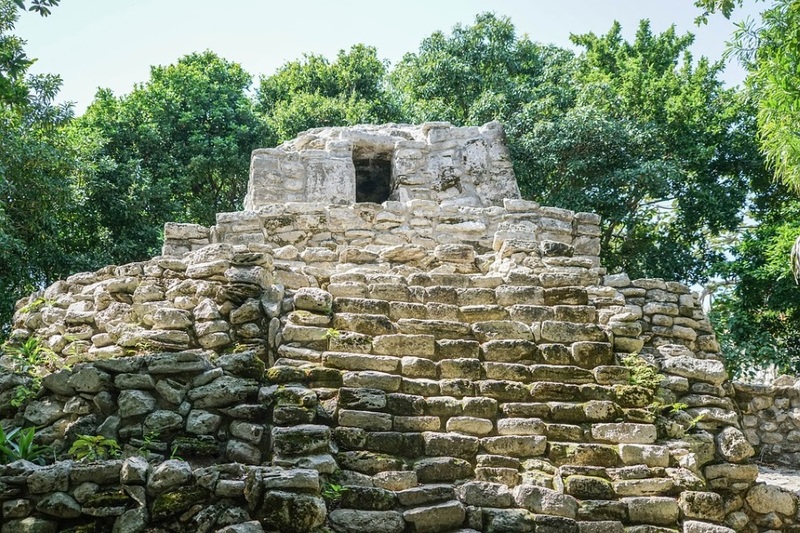 Experience an archaeological adventure at Xcaret and discover the archaeological sites, visit the vestiges on the tropical jungle trails behind the Papantla Flyers (Black Route), and those between the Open Forum and Coral Reef Aquarium (Blue Route). Open during the day. At different spots in the Park. 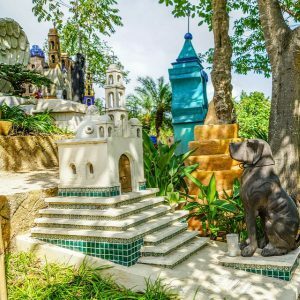 Discover the trails of the Mexican Cemetery at Xcaret where ancestors are remembered with respect and a little humor too. 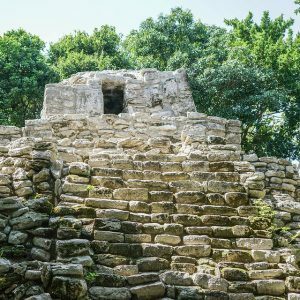 Explore spiral architecture that reveals a large number of tombs and expressive personalities, and also learn about the ancient machinery used for henequen production during its golden age at Yucatan, symbol of the old haciendas of that time. 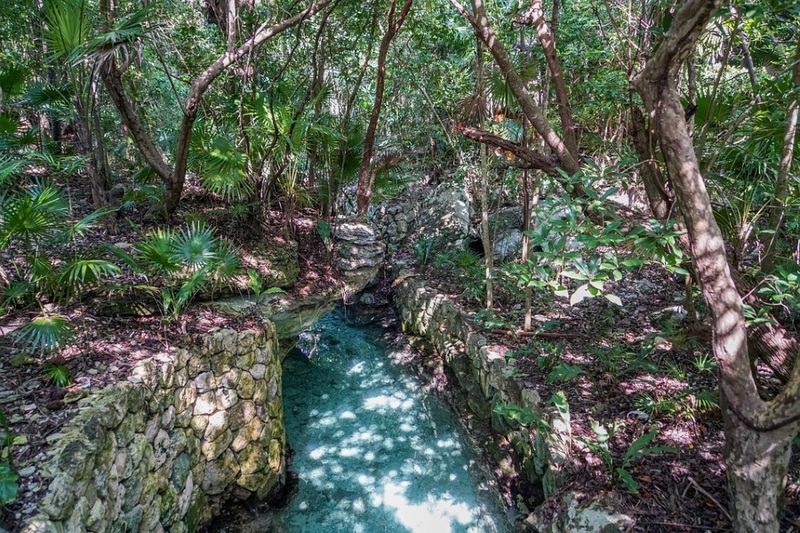 Walk through the abundant jungle and enter an ancient Mayan Village. This is a journey into the past where you can integrate into the daily life of an ancient community, learn about their way of life, social organization, how they build their homes, and what they eat. 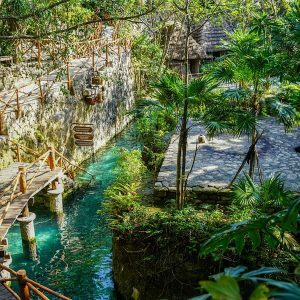 Go through caves, trails and bridges to reach this corner of Xcaret Park where you can also find crafts of the region and learn about their creative process directly from Mayan artisans. Explore the territory of the butterflies, where you will find countless butterflies flying among waterfalls, streams and breathtaking vegetation; this conservation area is home to a very important species since pre-Hispanic times, when the ancient Aztecs believed that the fragile butterflies represented the souls of warriors fallen in battle. The Butterfly Pavilion in Xcaret has an area of ​​3,500 m2 and 15 m high, which makes it one of the largest in the world. 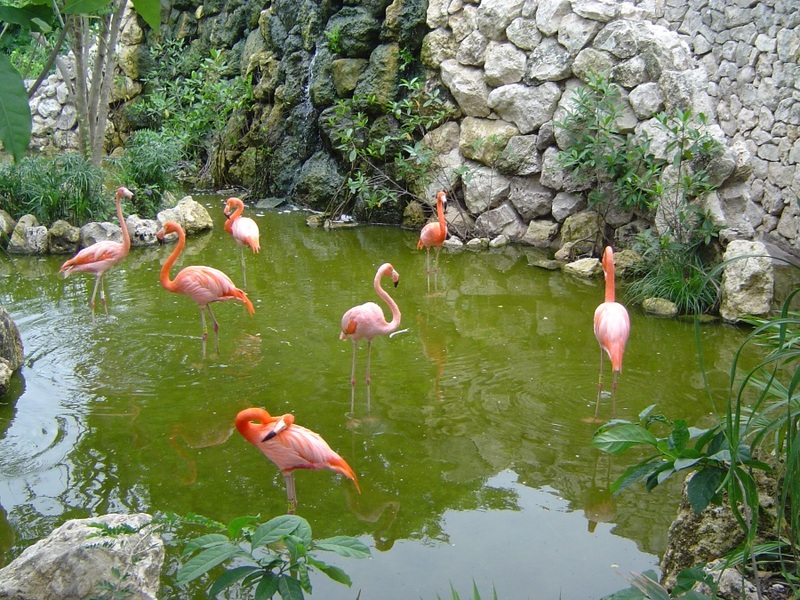 Enter into a new world made up by diverse natural settings, sharpen your senses and discover the variety of birds that inhabit in this sanctuary. Admire the contrasting colors of the toucan's bill; find the green parrots hidden among the vegetation, and listen to the unique mockingbird sound, named by the Aztecs as the bird from the 400 voices. Explore the colorful coral reefs visiting the Aquarium in Xcaret and discover the natural treasures of the Caribbean Sea, this unique and real natural aquarium has a free flow of plankton directly into the exhibit tanks, along with sponge larvae, corals and mollusks that originate a natural colonization process. 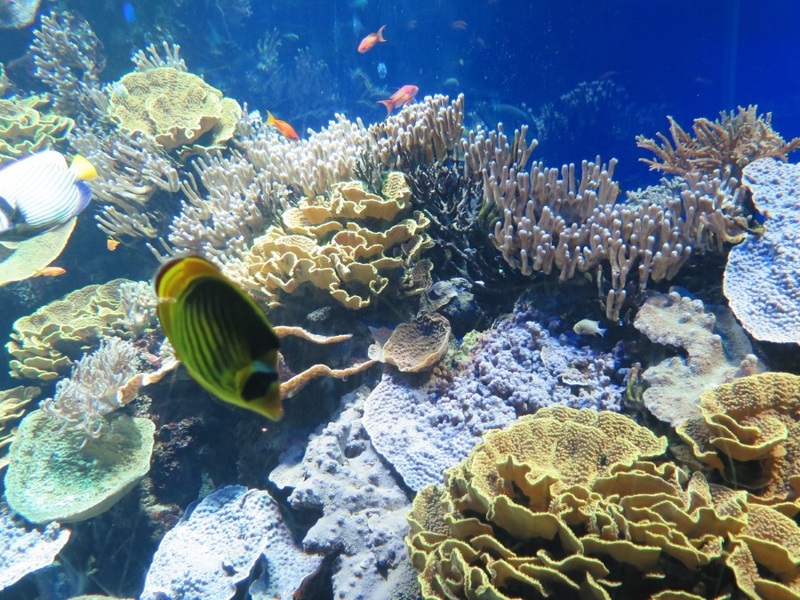 Have fun with the interactive water exhibits and admire the biodiversity of the Caribbean in this aquarium that includes more than 5,000 marine organisms. 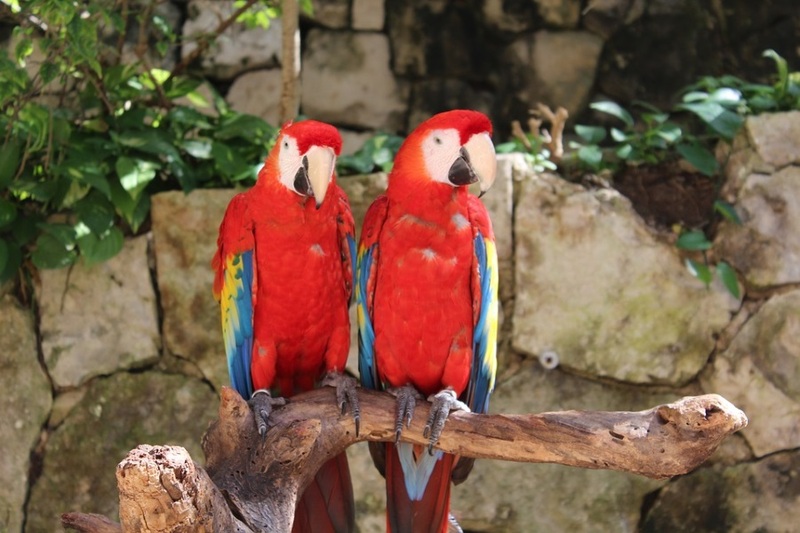 The Mexican Caribbean is a land where nature is manifested in a colorful and vibrant manner, the jungle and rivers of Xcaret cave are home to the most representative fauna of this area. Get to know the animals of the region and visit them in their natural environments; admire the beautiful bright pink of the Flamingos wings, sorprise yourself with the acrobatic moves of the spider and howler monkeys, dare to enter to the depths of the bat cave and fond of a charismatic couple: "Poloc" (chubby in Maya) and "Lolha" two friendly tapires. 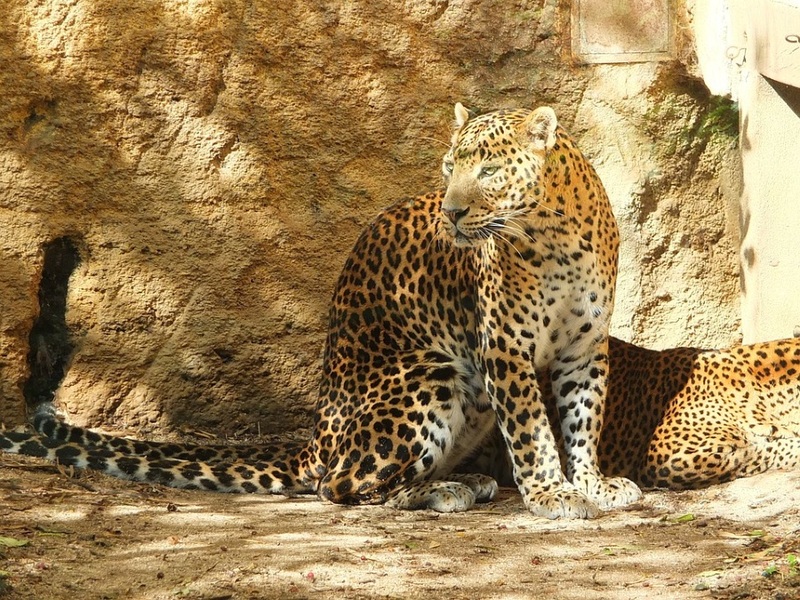 Also if you are a cat lover, come and admire the imposing Jaguar, which is the largest cat in the American continent and has been widely represented by Mayas as a supernatural entity called "Balam", symbolizing leadership, power and war, learn all about turtles such as its characteristics and behavior and meet the most friendly resident of Xcaret lagoon: the peaceful manatee. 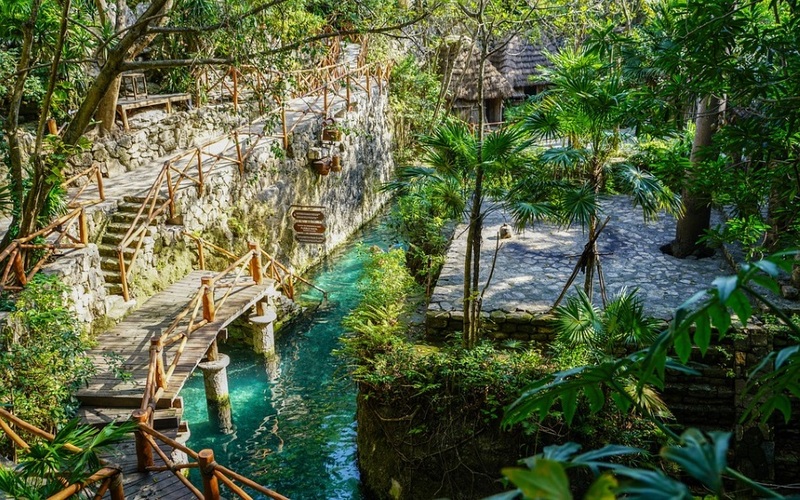 Swim and refresh yourself in the underground rivers of Xcaret. 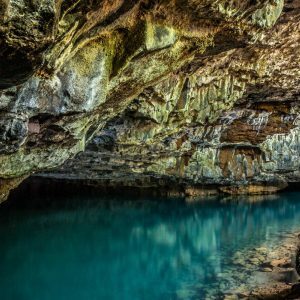 The underground Rivers are part of a natural network of channels which circulate under the Yucatan Peninsula. Live the experience of being driven by freshwater streams. 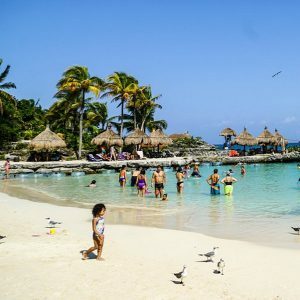 Decide if you want to explore the Blue River, Maya River or Manatee River, the three rivers of Xcaret flow to the ocean, next to mangroves inhabited by pink flamingos. Undoubtedly, this is a natural treasure that you should enjoy. 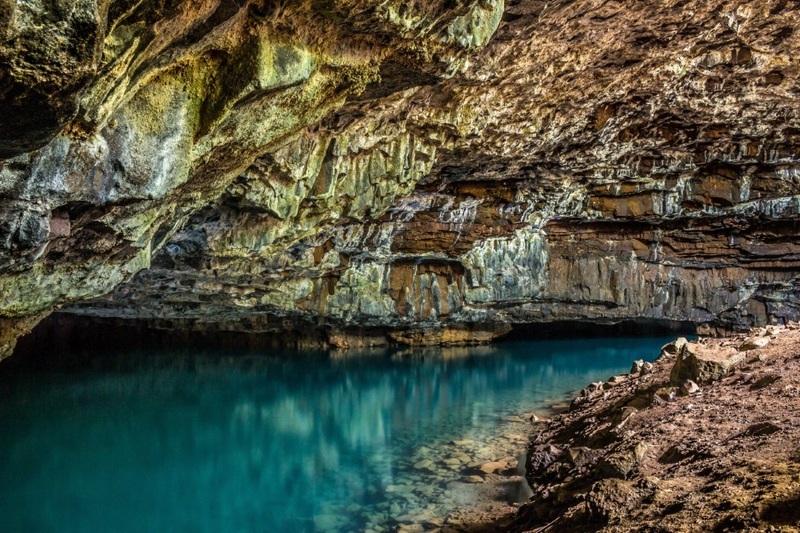 Swim and snorkel in beautiful lagoons, pristine beaches and natural pools. Between the jungle and the beach you will find a calm-water lagoon with small islands that serve as home to bird species from the Yucatan Peninsula. Enjoy of a moment of peace on the beach, the ideal refuge to relax the body and spirit in the shade of a palapa and walk on the pristine white sand. 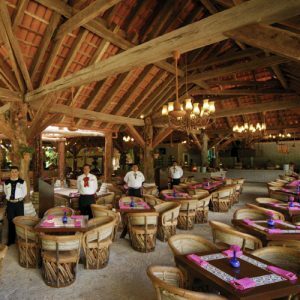 Restaurants based on foods and drinks that represent the tradition and flavors of Mexico; visit the Mexican cuisine restaurants to enjoy traditional dishes from all corners of the country, sea and land specialities that will delight your senses through flavors, aromas, scents and colors in a unique gastronomical experience in Cancun and the Riviera Maya.